new school in the Netherlands. 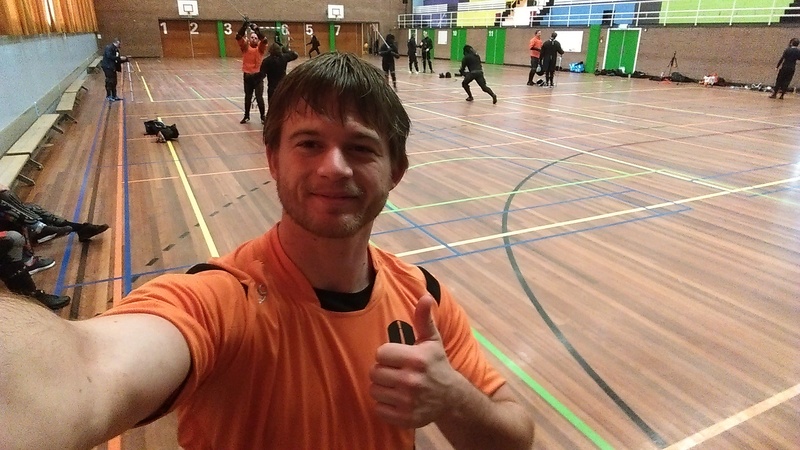 It was founded in the beginning of 2015 by international instructor and tournament fighter Matthys Kool. 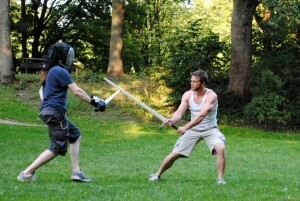 At the HVN the main focus is on the Longsword, but both wrestling and dagger are practiced. During free spar time students can use other weapons like sabre, single stick, dussack and sword & buckler. The name has several meanings as well. The Historical part very obvious since most of the sources originate from around the 15th century. For ‘Freefighting’ are three reasons. 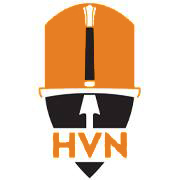 First of all, we at the HVN are of the opinion that terms like ‘historical fencing’ don’t cover everything that H.E.M.A. has to offer. Within the longsword discipline there is also a lot of wrestling involved, as a fighter you have to be able to work both at longer distance as well as close up. Both in training as well as in tournaments. The moment you enter the ring you enter a free fight, with a weapon. Of course, the weapon is most important but there is more than that. Also, the term ‘fencing’ has to string a connection to sports fencing. Secondly, in German the term ‘Freifechter’ is a term for a fighter who has proven himself within his school and travels to different masters to learn some more at each of them. Third, the Dutch word vrijvechten also means freeing yourself, fighting out of the chains that hold you, discover new abilities, proving yourself to others and yourself. The logo has been designed by André Middeldorp from Base6 Creative. The idea was to create a strong sports logo. Clear in what it stands for without to much around it. The hilt of a federsword on a half orange, half black shield. By keeping the logo minimalistic it stays string and recognisable. The orange was chosen for the obvious link to the Netherlands, which goes back to the 17th century. Matthys is the head instructor of the HVN, he is an international instructor and high ranking tournament fighter. After training with the AMEK for 12 years he decided to go his own way and started the HVN. Matthys has been responsible for the kids program and several other classes. He also teaches workshops at several international events. 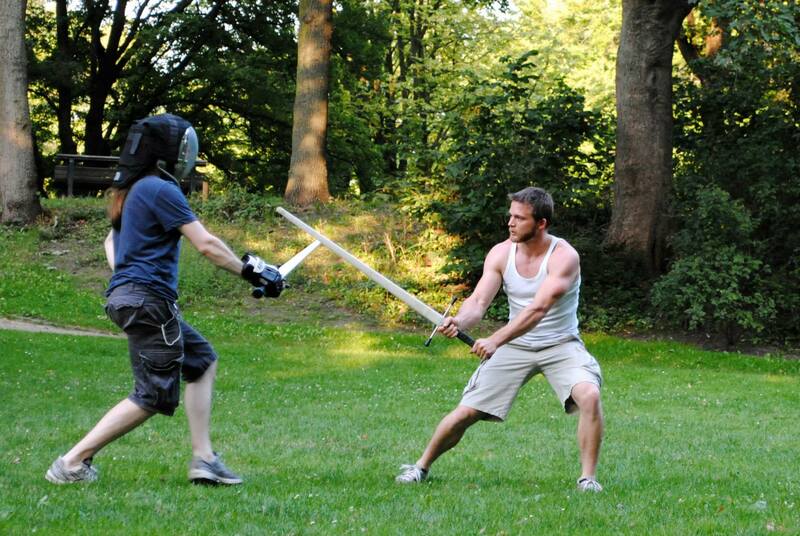 Topics vary from weapon specific workshops like Dutch sabre, dagger or longsword to themed workshops like wrestling with the longsword in sparring or physical training within HEMA. He is also very much involved with the organization of several tournaments and events. He has been manager at tournaments like Swordfish, HEFFAC, ILHG and many AMEK club tournaments. Outside of HEMA Matthys practices various other sports like boxing, mma, squash, running and cycling. He finds it important to broaden his horizon when it comes to sports and martial arts. This is also something that comes back in training. He works at the Rijnlands Lyceum as a substitute teacher.